Novotorium’s new leader, Stuart Segal, will draw on experience in mergers and acquisitions, managed care, health consulting, and Philadelphia city government to focus incubator on health, wellness and nutrition, according to Gary Baron, Chairman of Baron Innovation Group. The health and wellness sector is very attractive for passionate entrepreneurs not only because of the business potential, but also because it is an opportunity to make a real difference in the lives of others. Stuart Segal, a seasoned health care leader who has held senior level positions at Aetna, US Healthcare, Magellan Health Services, and served as First Deputy Managing Director and Deputy Commissioner of Public Health for the City of Philadelphia, has been named to lead Novotorium as it begins its new focus on startups in health, wellness and nutrition, according to Gary Baron, Chairman of Baron Innovation Group. 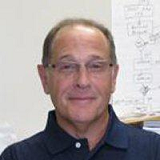 Prior to joining Novotorium, Segal was President and CEO of Strategic Solutions in Healthcare, a consulting practice providing strategic and tactical guidance to health plan, disease management, medical service, and behavioral health organizations that he launched in 2007. After an initial consulting assignment with AllOne Health (a subsidiary of the Blue Cross of Northeastern PA, BCNEPA), he was recruited by the Plan to run its disease management, wellness, and informatics subsidiary. Segal held leadership roles at Aetna, Magellan Health Services, and US Healthcare. Upon Aetna’s acquisition of US Healthcare, he became the head of behavioral health for the combined organization. While at Aetna, Segal was appointed by the company’s chairman to be one of six members of Aetna’s corporate strategy team. Segal also led Aetna / US Healthcare teams that were responsible for business integrations, acquisitions, and divestitures. Early in his career, he worked in progressively responsible positions for the City of Philadelphia, including First Deputy Managing Director and Deputy Commissioner of Public Health. Segal is also working with Baron Innovation Group startup Healthy Food Now, a community of local chefs, restaurants, nutritional coaches and health conscious individuals inspired by Dr. Joel Fuhrman’s New York Times #1 bestselling book “Eat to Live.” He will continue to work with Health Food Now in addition to leading Novotorium. Among the companies Novotorium works with is TravelCare, which provides medical professionals, hospitals, travel medicine clinics, corporate travel departments and student health offices with information and education about travel to more than 220 countries, including: daily medical, security, safety and political alerts, as well as information about vaccination, booster guides and dosage information. TravelCare delivers this information 24/7 and 365 days per year via the Internet in printable and email formats. Novotorium launched in 2011 as a business incubator designed to serve a broad range of startups, primarily those leveraging technology to scale and develop sustainable growth businesses. In August, Baron announced that Novotorium is narrowing its focus to concentrate on health, wellness and nutrition startups. Novotorium is developing new programs for entrepreneurs which will be announced in the coming weeks. In the meantime, Novotorium is open for business and is accepting applications on its website for entrepreneurs seeking guidance and support for startups focused on health, wellness and nutrition. Novotorium is an independent, private sector initiative funded by the Baron Innovation Group, and based in Langhorne, Bucks County, Pennsylvania. Novotorium provides the environment, advice, services, and funding that are needed for entrepreneurs working on health, wellness and nutrition startups. Novotorium’s unique approach helps entrepreneurs cross the chasm to achieve sustainable growth and profitability. Along with four full-time staff members, Novotorium has a network of more than 30 partners, including successful entrepreneurs, lawyers, financial professionals, technologists, and marketing service providers who are available to help entrepreneurs.